The Nitecap has provided many patients the best sleep of their lives and help many others get off prescription sleep aids. This low dose is specifically designed to be highly controllable and easily adjustable. 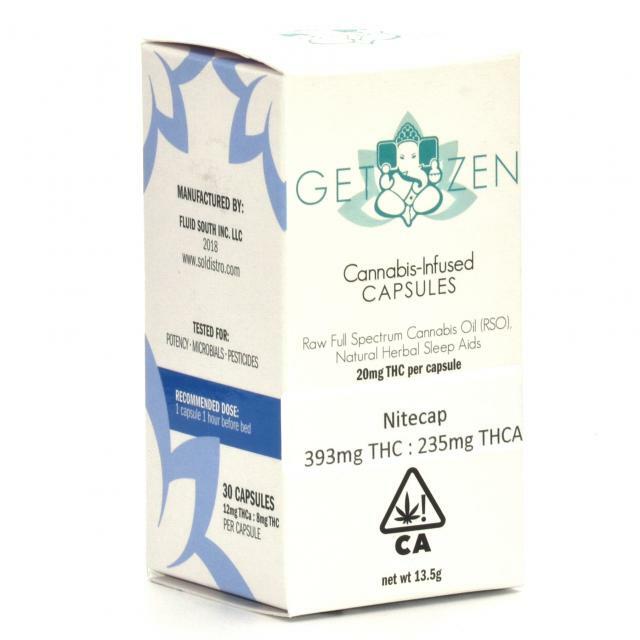 The Nitecap is predominantly acidic cannabinoids which have much more of a medicinal quality and effect and also allow for a higher dose of cannabis with low euphoria but are very sedating. We call this a “Raw” product because it has not been heated (decarboxolated) converting the mildly psychoactive acidic form THCA into the highly psychoactive THC D9. This ratio is approximately a 3:2 ratio of THCA:THC which is mildly psychoactive and tends to be more of a body high then an overwhelming head high that leads to the negative effect of THC like anxiety and paranoia. While still Euphoric, this product is intended to be very mild and tolerable compared to the fully decarbolated or activated THC D9. Acidic cannabinoids have different properties than their decarboxylated counterparts, but both types possess medicinal properties. There are at least 85 known cannabinoids in cannabis. The two most widely studied have been THC and CBD.